One of my favorite elements of fall is seeing all the daker hue’s come into play. I am a lover of all things jewel toned. Burgundy, jade and then you know my standard colors… black, grey and white. 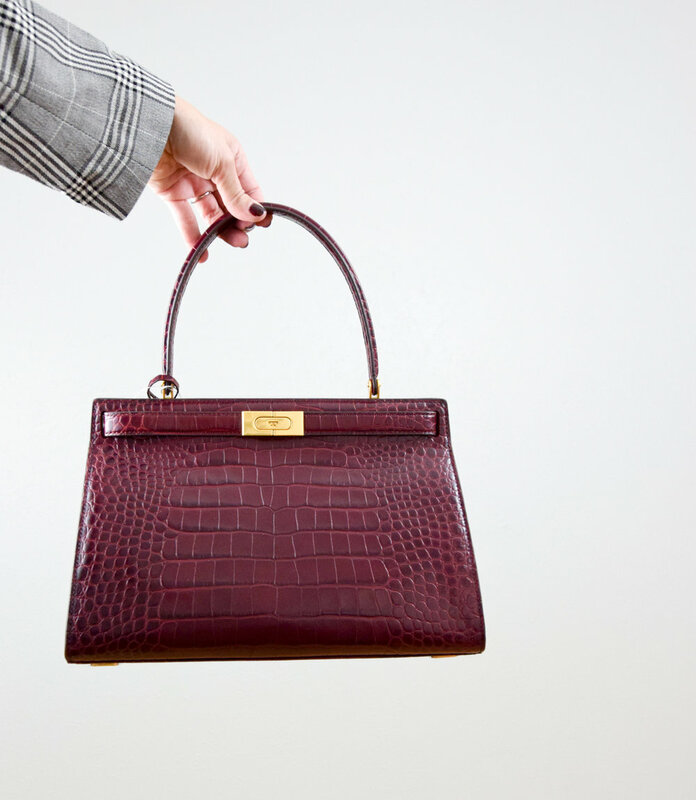 This Tory bag is an investment piece and for all investment pieces there are some things to think about before dropping some cash. The first is can you actually afford it, if the answer is no look for an alternative bag (see my selections below), start putting money away or look for a second hand bag. The second things to think about is that you want to make sure that the bag is true to YOU! Look at the color silhouette and size. Is this something that you will be still be loving in 2 years? Do you see yourself wearing it over and over? If yes, go for it. I’ve rounded up a few options below that are similar if you are not ready to splurge, because let’s be real dropping some serious cash can be stressful, so you might want to try out something similar before taking the plunge.